I have always had a fascination of Indian embroideries. This led me to buy a book-Ethnic embroidery of India by Usha Shrikant. Expensive and also very informative. 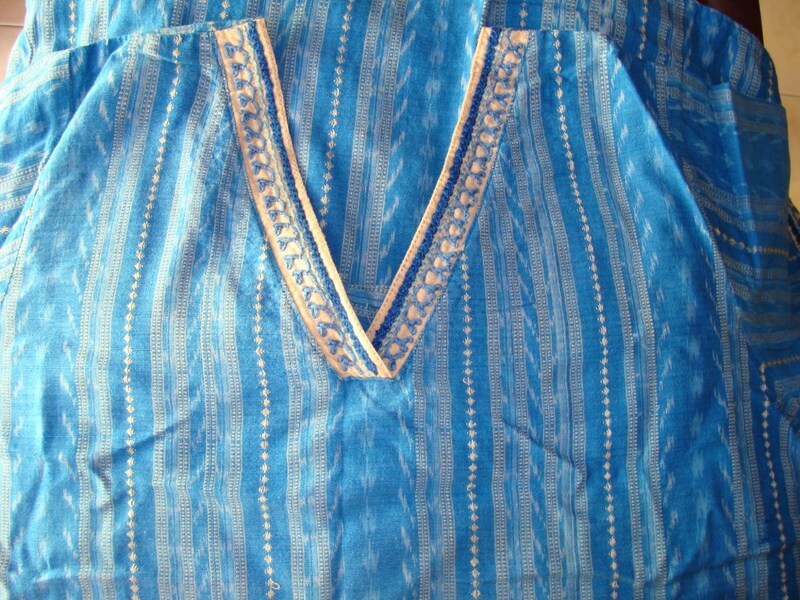 There was this kashmiri couching stitch.I had seen tunics with this embroidery,it is done in monocolour with thick thread. After that a row of simple couching in light blue. The embroidery was done after the tunic was sewn, the beige piece looked neglected, and invited me to try some thing there.I was cautious , just drew three lines and worked these three stitches. 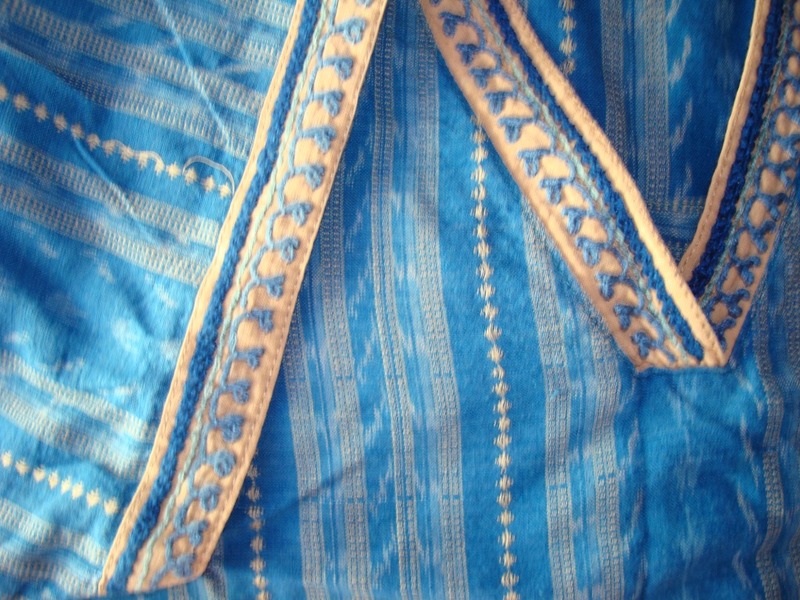 Actually the tunic [blue ikat weave , mercerized cotton] looked fabulous even without this embroidery.This was an opportunity to try something new.